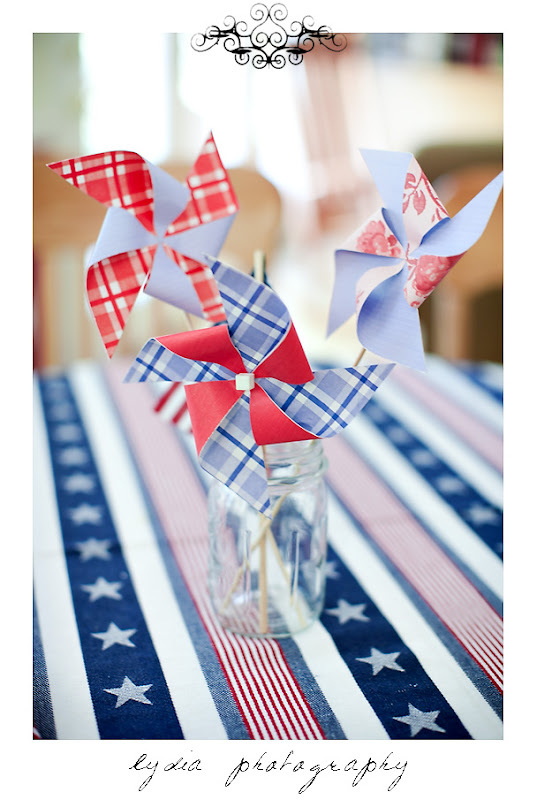 My sisters made homemade pinwheels in red, white, and blue for our 4th of July bbq, and I thought these would be great for a wedding. Pick out paper from a local craft store that goes along with your theme and use them for table decor, placecards, to line the aisle, or even as bouquet substitutes! Try this tutorial for clothespin pinwheels and add a bamboo bbq skewer for the stick. So cute spinning in the breeze!